You are currently browsing the daily archive for July 20, 2011. The tendentious nature of the accusations against the Sri Lankan government is most apparent in the accounts given by the Darusman report and Gordon Weiss of the last couple of months of the war. Weiss indicates that he depends heavily on information obtained from ‘a small cell’ set up by his hero Chris du Toit (who had cut his teeth on advising the notorious Angolan terrorist Jonas Savimbi, on behalf of the apartheid South African government) to ‘monitor the progress of the battle, gather reports of casualties and weigh the information it received’. Despite disclaimers that this ‘seemed to be the equivalent of listening outside a door to a fracas and trying to guess the events from the exclamations, sounds of splintering furniture and hoarse shouts of those inside the room’, Weiss seems to think the conclusions of this shell should be believed. 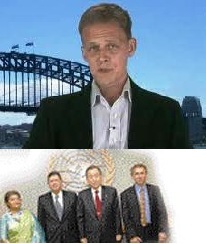 The refusal of the UN to deem all this credible has prompted the Panel to also attack the senior UN leadership in Colombo. Weiss’s purple prose is at its most emotive in the chapter entitled ‘Managing the Siege’, which begins with a reference to ‘the bombed and smoking wards of PTK hospital’. Which one he refers to is not made clear, nor why he must refer to this when talking about the village of Kombavil some distance away. Weiss then engages in a long excursus on the number of civilians left in the Wanni, in which he culls selectively from various statements to insinuate that there were well over 300,000 left while the government claimed there were about 70,000. While certainly there were conflicting estimates, the UN suggests 230,000 even in its internal minutes (Weiss claims the ‘UN had half-heartedly agreed’ to this estimate), while that is the figure to which government agencies concerned with supplies worked. Conversely even the Tigers, in an 18th February news item, said only that ‘More than 100,000 people have been forced into a plain and narrow strip along the coast‘.